Fiesta Bowl Chairman of the Board Matt Winter just announced that the Cactus Bowl will be returning to Chase Field in Phoenix, Ariz. The Pac-12 and Big 12 bout showcases two elite college football teams for an exciting match up at conclusion of the college football regular season. Opened in March, 1998 Chase Field is the only stadium in the United States with a retractable roof, air conditioning and permanent natural turf field. It has played host to not only the Arizona Diamondbacks MLB games, but also the 2001 World Series, 2011 Major League Baseball All-Star Game, MLB World Classic Baseball Games, NCAA Football games, Supercross, Monster Trucks and many other large-scale events. Sun Country and Spirit Airlines have relocated from Terminal 3 to Terminal 2 as part of the Terminal Modernization Program at Phoenix Sky Harbor International Airport. The Terminal Modernization Program at Sky Harbor will be implemented in three phases to minimize the impact on travelers. The first component, the Terminal Processor, will create a consolidated security checkpoint to reduce wait times and get travelers to their gates faster. The completion of the Terminal Modernization Program is estimated to be by 2020. Leave the kids at home and escape to Pointe Hilton Tapatio Cliffs Resort for an adult staycation where stunning views and a dramatic mountainside location meet luxe amenities, including all-suite accommodations, eight refreshing pools, golf, spa and romantic dining overlooking the city lights. Rates from $89 are available for Sunday to Thursday stays from July 6 to September 8, 2015, and include access to exclusive discounts including purchasing a $75 food and beverage credit for $50, round of golf at Lookout Mountain Golf Club for $35, and $100 cabana rental at the Falls Water Village. Rates from $109 are available for weekend stays for the whole family, with no booking code required. Round-up the family for The Great American Summer at Pointe Hilton Squaw Peak Resort, the ultra-family friendly resort with four acres of pools, waterslide, lazy river and more. With rates from $109 per night for stays May 26 to September 8, 2015, each summer weekend with celebrate America’s favorite summertime experiences including beach parties, luaus, carnivals and more. Fling & Swing Experience at JW Marriott Desert Ridge Resort & Spa: It&apos;s your fling. Do your thing. Your vacation starts and ends here with everything you need. Play all day in the cool pools and famous Lazy River. Kids eat free and more! From $169 a night, the entire family wins with this package! Kids 12 and under eat free, Internet is free and a round of golf (certain time restrictions apply) is also free! And best of all - a daily $50 resort credit and no resort fee charge. This package is available through September 7, 2015. • Stop Motion Animation: Kids bring their own objects and make them magically come to life in their very own video. While moving objects in small increments between photographed frames, they create the illusion of movement when the series of frames are played. This is the perfect activity for kids who love taking photos and making videos. • Lights, Camera, Action! : Doesn’t everyone wonder how movies are made? For those who have always wanted to be in front of the camera as an actor in their very own film, this session is not to be missed. Each child will have the opportunity to play the role of actor, producer and director of their very own movie. • Produce Your Own Morning News Show: Goooood morning Westin Kierland! At KNN, the Kierland News Network, kids provide round-the-clock news reporting and can produce their very own morning show with everything from ‘On the Spot’ reporting to weather, they can be a news anchor or journalist on location reporting vacation news around the Resort. • Media Madness: Split into daily mini-projects, kids explore your creativity in all sorts of ways! Monday: Music Video, Tuesday: Comic Book Creation, Wednesday: Movie Trailer, Thursday: Stop Motion Animation, Friday: Celebration. • For parents whose ultimate vacation includes just a little quiet time, find your way to luxurious pampering at the Four-Star Aji Spa or on the links at nearby Troon-managed Whirlwind golf club while your children enjoy our complimentary Adventure Club Camp. The “You Stay, We Pay” Package is offered with rates from $159 per night and includes a $50 daily resort credit applicable at all resort venues and Aji Spa (excluding Kai) and complimentary access for junior guests into our engaging Adventure Club Camp, for stays May 24 to September 8. • The “Sip, Soak & Splash Memorial Day Weekend” Package is offered at $139 per night for stays from Friday, May 22 to Monday, May 25. The package includes accommodations in a luxurious guestroom and a total of four wristbands granting entrance for two children and two adults into the resort’s soak and splash lawn which is happening Saturday and Sunday. All guests on this VIP package will also enjoy Native American culturally themed programming, live poolside music, Cinema Splash, outdoor games, grill stations and much more. 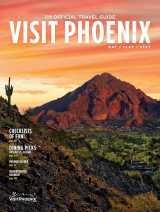 • The “Shop ‘Til you Drop” Package is offered with rates from $109 per night for stays May 14 to Sept. 8, 2015 and includes one $20 Phoenix Premium Outlet gift card, complimentary overnight valet, two complimentary lobby lounge drink vouchers and one voucher for a Phoenix Premium Outlet VIP coupon book, per stay. The hip OH Pool at Hotel Valley Ho is featuring live bands, local DJs, and delicious drink specials this summer, with Happy Hour Fridays, Session Saturdays, and Recovery Sundays. A variety of bands including Elvis Before Noon and the Jake Dean Band play poolside for Happy Hour Fridays from 3:00 p.m. to 6:00 p.m., now through July 3rd. DJ Mr. P-Body, DJ Adrian Michaels, and more will be spinning for Session Saturdays from 1:30 p.m. to 5:30 p.m., May through September. Recovery Sundays are ideal for relaxation and recovering from the week, now through June 21. Cabanas are offered at 25 percent off and include a special recovery kit. Eight different cocktails are served each weekend. For a full day of recovery, VH Spa has a special 90-minute Recovery Sunday Spa Package and ZuZu offers brunch, live music on the patio, and the Bloody Mary + Mimosa Bar. Weekend food specials are served poolside from 10:00 a.m. to 5:00 p.m., and drink specials are offered from 10:00 a.m. to 6:00 p.m., including select $6 cocktails and $4 beers. The OH Pool features eight private cabanas, starting at $199 Friday and Sunday, $329 Saturday, and $149 Monday to Thursday. Each cabana includes a choice of three amenities and admission for eight guests (16 guests for the double cabana). If you are looking for a beautiful place to stay during a visit to our Sonoran Desert or to simply get away for a staycation, The Sanctuary on Camelback Mountain has added an exciting new room category to its already luxurious accommodations. The new Camelback Casitas and Camelback Suites showcase a fresh and contemporary look designed to spotlight Paradise Valley’s breathtaking views. The casitas and suites include soft furnishings and décor in elegant, neutral colors. The 500-square foot Camelback Casitas feature tile flooring throughout with a separate seating area and dry bar. The bathrooms feature lit vanity mirrors and a skylight, as well as separate oversized tubs and a tiled shower. The Camelback Suites are designed to capture the dramatic vistas of the Arizona desert. The room gives the feel of the desert landscape, while the wood furnishing and light color palette are timeless. One bedroom or two bedroom suites both have a living and dining area, wood-burning fireplace and dry bar. An additional change will soon be coming to one of Sanctuary’s private Mountainside Estates, Casa del Sano. In early 2016, it will be transformed into a Spa House which will include a movement studio and accommodate groups up to eight. Hyatt Regency Scottsdale Resort & Spa’s Splash Into Summer package is available from May 22 to September 7, 2015. From just $155 to $195 per night, guests will receive: a deluxe guestroom (50 percent off second room), Free Dinner in SWB for one child with each paying adult (12 or under), Kids Play Free Golf, ages 15 and under, when playing with a paying adult, 50 percent off Camp Hyatt each day for up to two children per room (ages 3-12, half- or full-day programs offered daily, advance reservations required), Free beach and pool activities, Free self-parking, Free Wi-Fi, and a Welcome Margarita upon check-in. Guests can splash into our 2.5 acre water extravaganza complete with 10 pools, experience the thrill of spiraling down the 30’, 3-story, high-speed waterslide or take to our sandy beach. From nighttime cosmic waterslide races, Xtreme games, big ball aqua volleyball, water basketball and everyone&apos;s favorite dive-in movies, there&apos;s a summer full of fun-filled family activities for all ages. Adults can get away from it all in the "adult only" pool. There are even family and adult poolside cabanas, and H20asis, offering favorite foods alfresco and novel “can’t resist” retail. We-ko-Pa Resort & Conference Center’s Summer Splash Package starts at $129 per night with a $50 food and beverage credit to their Ahnala Mesquite Room, Room Service and/or the Pool Bar & Grill; $10 casino slot play for new Fortune Club Members and $5 casino slot play for existing Fortune Club Members. Book between April 1 and June 30 and travel between April 1 and July 31 to receive this offer. Blackout dates are July 3 and 4. The Hidden Histories in Latin American Art exhibit at the Phoenix Art Museum will be opening on May 9 and be showcased through summer until August 23, 2015. The focus of this exhibition is an investigation of the means by which some Latin American and Latino artists spotlight stories or histories marginalized by the media in their artistic practice. Historically, many artists have sought to expose parallel truths existing outside of the mainstream. The artists in this exhibition explore neglected yet pressing histories, such as the violence against women in Ciudad Juárez, Mexico; the marginalization of indigenous communities in Guatemala; and the fate of civilians “disappeared” by military and paramilitary groups in Colombia. Hidden Histories will include works by Teresa Margolles (Mexico, born 1963), Doris Salcedo (Colombia, 1958), Graciela Sacco (Argentina, 1956), Luis González Palma (Guatemala, 1957) and Annie López (US, 1958), among others. The exhibition encompasses approximately 1,400 square feet and includes works from the Phoenix Art Museum’s permanent collection as well as loans from other institutions and private collections. A new concert venue in downtown Phoenix is set to open this month on Central Avenue. The venue, The Valley Bar, is owned by Charlie Levy and Tucker Woodbury, the same people who run the Crescent Ballroom just blocks away. The new venue has a unique setting in an underground space of about 8,000 square feet with the capacity to hold 250 people. The bar’s kitchen will be run by Short Leash Hot Dogs and there will be a room dedicated to former Arizona Gov. Rose Mofford called the Rose Room, which will serve cocktails inspired by Phoenix politicians. The free, weekly FitPHX Meet Me Downtown Phoenix (MMDT) walk/run is attracting crowds to explore downtown Phoenix on Monday nights. MMDT passed a few major milestones in April – welcoming its 5,000th participant and celebrating its 25th week. Four athletes who have perfect attendance earned new tech hats; more than 100 people have come out 10 or more times to earn MMDT t-shirts; and with total attendance of 5,339, participating athletes have complied more than 16,000 miles. Tickets are now on sale for the Musical Instrument Museum’s Summer Concert Series. More than thirty new concerts from May through August have just been announced, featuring award-winning singer-songwriters, acclaimed jazz musicians, and a diverse group of artists from around the world. Rhiannon Giddens will headline a concert on Thursday, May 7, to celebrate the release of her new album, backed by her band mates from the Grammy Award-winning Carolina Chocolate Drops. Acoustic guitarist Trace Bundy will perform on Saturday, May 23, and country-swing act Asleep at the Wheel will take the stage on Monday, May 25. Visit Pueblo Grande Museum on International Museum Day (May 16, 2015) which will be offering free museum admission all day! From 9 a.m. to 4 p.m., the Museum will also be offering free gallery tours and have artifact show-and-tell stations set-up in the galleries where guests can see up close, touch, and ask questions about different artifacts. The unofficial start of the summer season kicks off with two days of world-class entertainment at Talking Stick Resort. The resort’s RELEASE pool party series will host progressive and electro house DJ and songwriter Morgan Page on Saturday, May 23 and big-room house duo W&W on Sunday, May 24. Music fans will want to secure their spots at these holiday weekend events by purchasing tickets to the two shows. Three-time International Dance Music Award (IDMA) winner R3HAB is joining the RELEASE Pool Party series and performing at Talking Stick Resort on Saturday, May 30. The Dutch DJ will showcase his larger-than-life persona live on the pool stage and fill the area with his powerhouse EDM sound. Also performing this month as part ofTalking Stick Resort’s Summer Concert Series is Thunder From Down Under May 7-9, Moody Blues May 8, REO Speedwagon May 17, and Chris Young and Thompson Square May 29. The Phoenix Ballet will premiere Rising on May 16 and 17 at the Mesa Arts Center. The show features four distinct, eye-catching ballets by different choreographers and two world-premieres performed by internationally recognized dancers. Rising is comprised of four different ballets: String of Thoughts, The Awakening, Solsticeand Only Love. String of Thoughts is a world premiere by dancer/choreographer Albert Blaise Cattafi, who is a member of Rasta Thomas’ Bad Boys of Dance and has performed with Cirque de Soleil. It is a story of new love through movement, color, emotion, and the unique personality of each dancer. The Awakening is directed by Ricky Palomino, while Slawomir Wozniak’s Only Love will make its U.S. Debut. Francisco Gella’s Solstice rounds out the production and features a neoclassical ballet set to Beethoven’s Moonlight Sonata. Tickets can be purchased online or in person from the Mesa Arts Center. Shade Projects is presenting From the Outside Looking In, featuring the solo exhibition of local artist Joshua Louchheim in the Shade Gallery at the monOrchid. From the Outside Looking In will be on display in Shade Gallery at the monOrchid from May 1st to 31st. Louchheim’s latest work features 20 oil paintings highlighting the artist’s love of the landscape that will engage the senses and transport the viewer to another place and time. Louchheim is a self-taught artist who has exhibited his artwork in various galleries in Arizona including Art One Gallery, the monOrchid, and most recently, at the Herberger Theater Art Gallery. His work has also been seen in several local publications including YabYum Music & Arts and LocalRevibe. This summer’s most anticipated restaurant opening comes courtesy of the trio behind Crudo, the modern Italian and progressive mixology spot tucked into the Arcadia neighborhood. Okra, the team’s sophomore effort, is a brand new concept and will blend Southern American and Italian cooking with a beverage program to match. The restaurant will officially open this summer at The Crown, a midcentury modern shopping center in north-central Phoenix on 7th street. Coupes de Tartes has opened in Central Phoenix on May 1 at a larger location. The Phoenix French restaurant’s new space is in a 5,000-square-foot 1922 historic building on Osborn Road. The new Coup Des Tartes will follow in the old location’s footsteps as it is set up to feel like diners are eating in a residential home. The restaurant is split up into several rooms and features home furnishings. The new location will also feature a full service bar, a larger kitchen, and a large room and outdoor spaces for events. Gertrude’s, the highly touted full-service restaurant just inside the Desert Botanical Garden, has introduced new menus for spring and summer. Under the direction of Executive Chef Matthew Taylor, Gertrude’s menus are bursting with pole beans, carrots, spring garlic and onions, heirloom tomatoes and grains along with signature items like black tepary bean hummus, pork gumbo and bison tenderloin. Gertrude’s showcases local ingredients from artisans and farmers, herbs from the restaurant’s onsite patio and prickly pear from the surrounding grounds. Chef Taylor’s goal is to present clean, fun, innovative food that is a good representation of the season, his travels and passions, along with those of the culinary team. Gertrude’s offers diners an authentic seasonal experience with top-quality food, libations and service. The focus is on a uniquely local experience complete with cuisine, wine and garden ambience. Garden admission is not required to dine at Gertrude’s. Del Frisco’s Grille will be celebrating National Burger Month all May long with their Prime Beef & Chorizo Burger. The burger is topped with fried pickled jalapenos, lettuce, tomato, red onion and chipotle mayo. For $15, this tasty burger will also be paired with local Upslope Pale Ale out of Tucson. Additionally, May 8 is National Coconut Cream Pie Day and if you haven’t already tried Del Frisco’s version, you now have reason to do just that. For $9, the Coconut Cream Pie at Del Frisco’s will satisfy your sweet tooth as it is topped with white chocolate shavings. Phoenix Public Market has announced they will go out with the old and in with the new with their Open Air Market concept, changing their weekly Wednesday farmers market to “Downtown Sundown” each Thursday, an event where the community can gather to enjoy dinner, drinks, entertainment and unique shopping experiences. The final Wednesday market will take place April 29, and will be suspended until further notice. The Saturday Open Air Market will continue as usual, every week, rain or shine. Food Truck Friday will also continue as usual. Arizona Distilling Company, the first and only distillery in Arizona using locally grown grain, earned the prestigious Double Gold Medal for its Desert Dry Gin at the 2015 San Francisco World Spirits Competition. Arizona Distilling Company’s Desert Dry Gin was one of the four American crafted gins to receive a Double Gold Medal at the 2015 competition, which includes a panel of 41 nationally recognized spirits experts that conduct a blind taste-test. The company also won a Gold Medal for its Humphrey’s Whiskey, a Silver Medal for its Desert Durum Wheat Whiskey, and a Bronze Medal for its Park Rye Whiskey. Four Peaks Brewery has been named as America’s Favorite Craft Brewery in an online vote contest by lifestyle blog Thrillist. Four Peaks was one of 64 other nationwide craft breweries and managed to take the cake! The brewery also recently was named the country’s favorite craft brewery by the Travel Channel out of 15 other breweries across the U.S.
A Valley favorite home for authentic Mexican cuisine is about to undergo a massive refresh, but longtime fans of can rest-assured the family-owned institution will honor the same recipes and rich traditions that first made them a favorite nearly three decades ago. Someburros, the cult-favorite East Valley born institution for time-tested Mexican food since 1986, will notice a new look including a new logo, lively revamped interior, and even a reinterpretation of the restaurant’s longtime donkey mascot, beloved “Nacho”. Early pioneers of the fast-casual restaurant concept in Arizona, the Vasquez’s business gives new meaning to the term “family affair.” All six Someburros locations are locally owned and operated, and all of them share the same primary goal: to provide hungry Arizonans an authentic, approachable fast food alternative that gives on-the-go families a quick meal option without sacrificing quality with their made-from-scratch format. It&apos;s orange blossom season! Right now is one of the best times of year in Phoenix when the sweet and honeyed scent of orange blossoms fill the air. Guests can actually enjoy the scent year-round at Royal Palms Resort & Spa, a Destination Hotel with their on-site orange grove dating back to 1929 when the property was a private estate. Alvadora Spa at Royal Palms highlights the invigorating beauty benefits of citrus with nearly every spa treatment. The spa&apos;s signature scent is neroli, an essential oil distilled from the blossom of the orange tree. The scent permeates from the adjacent orange grove and throughout the spa. A few signature treatments include: Citrus Ritual; Orange Blossom Body Buff; Citrus Grove Facial; and Spring Citrus Renewal. As part of their Summer Spa Specials, Spa Avania at Hyatt Regency Scottsdale Resort & Spa at Gainey Ranch features their "Green Tea & Cucumber Collection," five treatments created to replenish the body with antioxidants, flush out toxins and soothe and refresh your skin. To further enhance the experience, they have created “spa bites” and refreshments infused with Green Tea & Cucumbers to hydrate and nourish your body. The five treatments include the 60 minute Green Tea & Cucumber Massage, 60 minute Green Tea & Cucumber Facial, 60 minute Green Tea & Cucumber Body Polish Vichy Scrub, 45 minute Green Tea & Cucumber Hand Renewal, and the 60 minute Green Tea & Cucumber Luxury Foot Renewal. A rejuvenating eye treatment to lift, revitalize and refresh for a youthful appearance can also be added. These treatments are available May 1 through September 30, 2015. Tuesdays are too good to pass up with Two For Tuesdays at the VH Spa at Hotel Valley Ho! Enjoy two sixty-minute services of your choice (any massage or facial) along with two glasses of wine (or two bottled waters), for $200 including service charge ($315 value). Bring your significant other, a friend, or treat yourself! What better way to spend a Tuesday? This offer is valid through December 2015. The Arizona Diamondbacks and Colorado Rockies set a new attendance record for Spring Training at Salt River Fields this year, drawing 351,866 fans between the two teams. This is the highest attendance number for any two-team complex in Major League Baseball this season. Since its opening in 2010, Salt River Fields has hosted 100 sell out games. Plus they recently completed renovations of Chase Field have by creating a space for a new suite on the lower level. The suite, Studio @122 can accommodate 20 guests, or two groups of 10 with a sliding glass door to split the parties. The D-backs invested $200,000 into the project, and will charge $3,000 to $8,000 to rent out the space for a game. The cost covers ballpark fare such as hot dogs and burgers, cold appetizers, soft drinks, and two beers for every adult. Wine and hard liquor are a separate fee. Other amenities include two flat-panel televisions and concierge service.